Teachers like to use this chart to help students learn critical thinking skills which aid in reading comprehension. 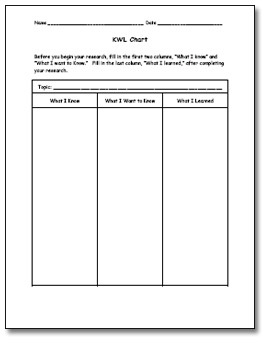 I use these charts with any of my students who are reading chapter books. 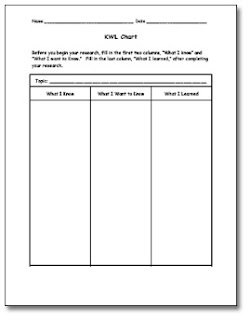 It is difficult for students to stop and take the time to analyze the text, therefore, the use of a KWL Chart makes them formulate and organize the information they have read, what they feel will happen next, and what they still want to know. KWL Charts work best for non-fiction books, but can also be used for fiction texts.